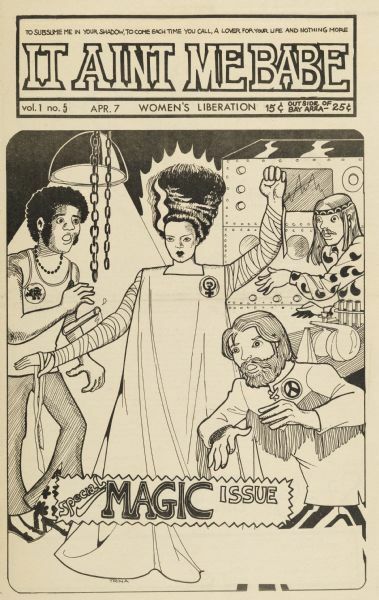 Cover of "It Ain't Me Babe," an underground comic newspaper, featuring hippie scientists in a lab having just brought to life the bride of Frankenstein. Made for an issue focusing on magic. Tagline for newspaper reads, "To subsume me in your shadow, to come each time you call, a lover for your life and nothing more."